Have you noticed that every other website asks for personal information these days? Click to a page and your browser will alert you about permissions for sending notifications or accessing your camera and microphone. Aside from video chat sites, you probably don’t ever want to grant these permission. Windows lets you revoke the ability for sites to use your camera and microphone in Microsoft Edge. If you’ve accidentally accepted requests for sensitive info, or just don’t want these permissions active, you should toggle this setting to ensure no sites are spying on you How Advertisers Use Web Beacons to Track You on the Web and in Emails How Advertisers Use Web Beacons to Track You on the Web and in Emails Have you ever wondered how advertisers track you around the web? There are many methods, but the use of web beacons is one of the more common and effective. Read More . Edge used to allow you to fine-tune permissions per website, but it appears Microsoft removed this in the latest version. You can still toggle notifications for individual sites, however. Open Edge and click the three-dot Menu button on the top-right. Click Settings, then scroll down and select Advanced Settings. Under the Notifications header, click Manage and you’ll see a list of sites you’re enabled notifications for. Toggle the sliders to disable them. Open the Settings menu in Windows 10. Select the Privacy entry, then pick the type of permission you want to deny on the left sidebar: Location, Microphone, or Camera. Under the Choose apps that can use your X section, toggle the slider for Microsoft Edge off. Now you won’t have to worry about any sites asking for them. Note that you may want to consider whether this is the best choice for you. Turning off location, for example, makes using weather and map sites less convenient. And if you block camera access, video conferencing sites won’t work properly. Perhaps the best method is keeping a dedicated browser This Is What Microsoft Edge Is Good For This Is What Microsoft Edge Is Good For Microsoft Edge is way better than Internet Explorer. It's time to become browser agnostic. We'll show you the unique features that make Edge worth using, even if it's not your main browser. Read More for these tasks and locking down your primary by disabling permissions. For more on this subject, check out our complete guide to Windows 10 privacy The Complete Guide to Windows 10 Privacy Settings The Complete Guide to Windows 10 Privacy Settings Do you know how much personal data you're actually sharing when using Windows 10? We show you every single Windows 10 privacy setting and what they mean. Read More . Have you revoked any permissions from Edge? Are you concerned with privacy or do you prefer the convenience of leaving these settings enabled? Tell us your thoughts by leaving a comment! 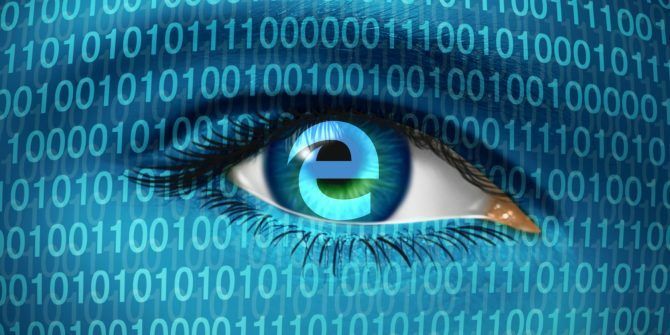 Explore more about: Microsoft Edge, Online Privacy.